Truth is, it was easy to joke about the rain in Amsterdam, but it was incredibly hard to actually deal with it. Not only did it pour on me the majority of my time in Amsterdam, but there was a howling wind, and it was freezing cold nearly the whole time. In fact, as Tiffany would attest to, I was more than a little bit grumpy with the weather. In fact, I was very much regretting my decision to spend the fall in Europe. 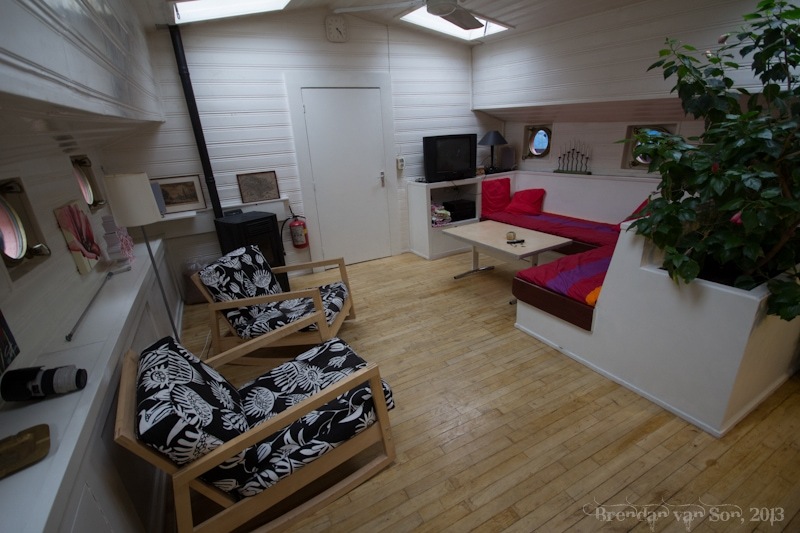 But then, the Houseboat Hostel Alternatief came around and helped lighten my mood immensely. I’m always looking for alternative style accommodation around the world. I’ve stayed in an old train in South Africa, an old bus in South America, and even in a shipping crate in Guinea. I love when the accommodation can become a part of the story of your travels, and not just the place where you laid your head. Thus, one of the two places I wanted to stay in Amsterdam was one of the houseboat hotels. Houseboat Hostel Alternatief was the perfect choice. 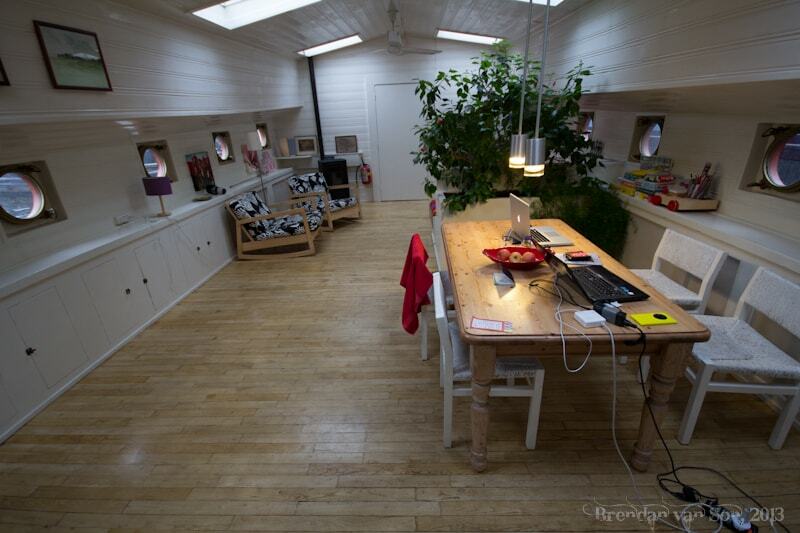 Though you’re essentially on a boat, this houseboat feels much homier than you’d ever imagine. With a small fire place, and a big open and modern floor plan, you feel like you’re in a nice apartment building instead. 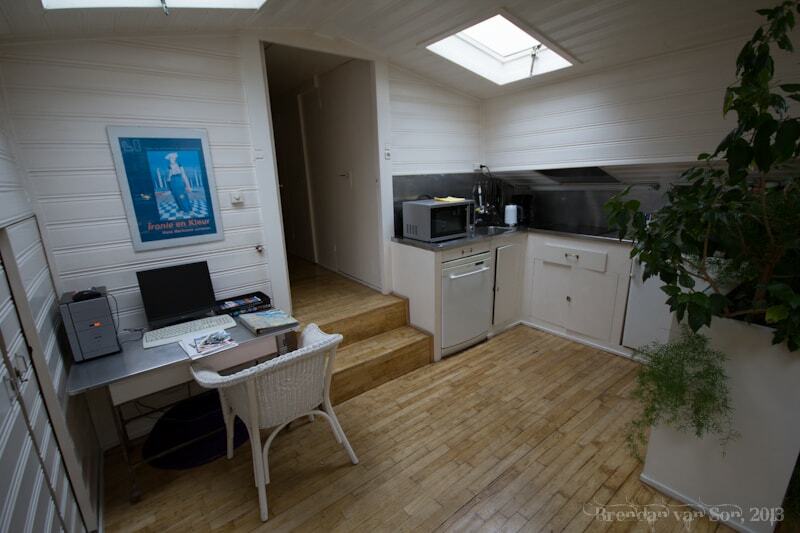 Moreover, with good wifi, a computer, a healthy sized kitchen and plenty of electronics you feel far from “at sea”. There are 2 rooms in the boat, one with two beds and the other with one, which actually makes this a great place for a small family to stay together without feeling like they’re all cramped into one tiny hotel room. And the truth is, the price is about the same as they’d pay for a tiny hotel room in Amsterdam. Of course, here you have the added bonus of the kitchen as well. When it comes to location, it could be better, but the truth is I think it’s better where it is. It’s only a 10-minute walk from the train station and a 15-minute walk from downtown Amsterdam which is fine. But the location is outside of the heavily-visited part of the city which makes it a nice quiet spot. If the boat were down on the canals in the heart of town, it would likely be too noisy. There is a pub nearby as well, which means that you don’t have to walk all the way to the center to eat. So, as is always the question with my reviews: would I recommend it? 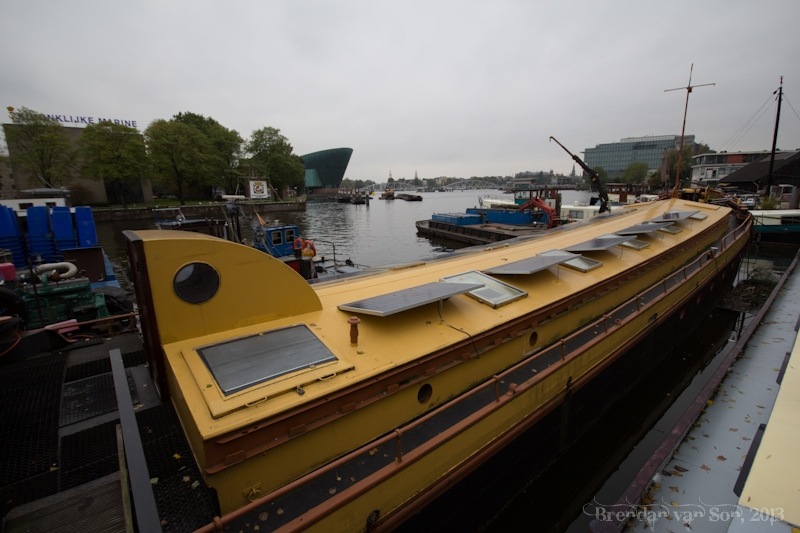 The Houseboat Hostel Alternative is a great way to enjoy Amsterdam. Moreover, the very friendly owner, Joanne will take good care of you and make sure you’re stay is comfortable. If you’re in Amsterdam, check this place out (visit their site here), and I wish you less rain than I have. But again, if there’s ever a flood, you wont have to worry.